Yet local district leaders and their advocates in Raleigh say the proposal may only exacerbate the state’s looming pay disparities between wealthy and poor counties, spur employment lawsuits and complicate matters for local school boards. 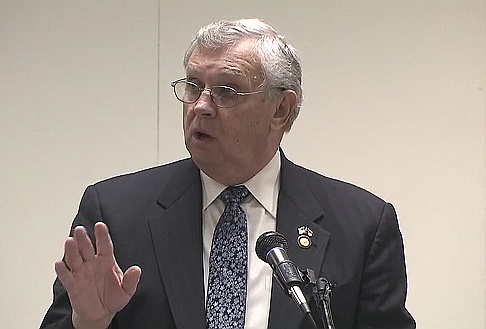 Sen. Jerry Tillman, a powerful Randolph County Republican and majority whip in the state Senate, suggested to legislators this month that North Carolina should retain a scant few of its 37 separate K-12 funding allotments—allotments for students with limited English proficiency, students with disabilities and low-wealth counties. Rep. Hugh Blackwell, an influential Burke County Republican, also raised the prospect of ditching the state’s teacher pay schedule this week, pointing out North Carolina is one of just three states in the country that mandate a full salary schedule. Twelve states set a minimum pay scale and allow local districts to exceed that number, somewhat akin to the way local supplements allow certain North Carolina districts to offer more lucrative pay today. But the majority of states, according to the Education Commission of the States, an interstate compact of K-12 policymakers, stay out of scale-making altogether. The North Carolina task force’s co-chair, Union County Republican Craig Horn, said it’s too soon to say whether the panel—which is expected to take two years or more to complete its work—will ultimately pursue the grant proposals hinted at by top GOP legislators. But the reform would mark a major change for the state’s 115 local school districts, one that would somewhat insulate state legislators from frequent criticism over lagging teacher pay. GOP budget writers have been besieged in recent years by complaints that the state legislature has allowed North Carolina teacher pay to wither in national rankings since the 2008 recession. As of 2016, North Carolina ranked 41st in the nation, according to one national benchmark, although recent pay increases approved by the legislature were projected to lift the state to 35th in 2017. 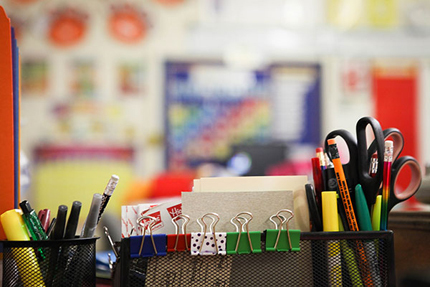 The state’s teacher pay struggles coincide with massive teacher shortages in many of the state’s 100 counties, as well as a substantial drop in students seeking teaching degrees in the UNC system. 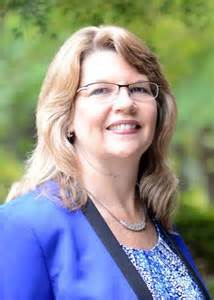 Katherine Joyce is executive director of the N.C. Association of School Administrators (NCASA), which lobbies for local school chiefs at the legislature. The NCASA strongly opposed a push from Tillman last year to eschew the state’s principal pay scale in a similar fashion. Like Jewell, she said some lawmakers’ inclination to do away with the state’s top-down salary scale could be problematic. “If they dig into this issue, they will see there are a lot of unintended consequences that could come about,” said Joyce. Joyce says districts could see yawning inequities in pay between rich and poor counties, on top of increased litigation stemming from pay disparities. Joyce added that the burden may be too heavy for local districts, which would have to prepare their own pay schedules or negotiate scores of teacher contracts. Mike Griffith, a school finance expert with the Education Commission of the States, says that, in some ways, the fears may be overblown. Griffith added that districts would also develop their own pay-scales, avoiding “free agent” bidding wars every year. But he says concerns about worsening pay gaps between wealthy and poor counties may be well-founded, even if states adopt a similar approach to lawmakers in Tennessee and several other southern states, which implemented minimum pay requirements for districts. But Joyce expressed some skepticism this week that lawmakers’ talk will lead to action in the near future, a sentiment shared by Horn, who argued the task force is still working to understand the complexities of the state funding system before embarking upon major changes. In that controversy, a state-ordered mandate for districts to trim class sizes in early grades stirred a still-brewing pushback over efforts to curtail local school board’s flexibility to juggle staff and funding to meet their needs. Blackwell said this week that lawmakers, as they consider a major facelift for the state’s funding allocation system, will have to balance local district flexibility with maintaining accountability for struggling school systems. A NCASA panel of local and state school finance experts has prepared an unpublished report with recommendations for the task force, Joyce said this week, although it’s unclear when legislators will hear the details of the group’s proposals. In the meantime, Horn isn’t ruling anything out, acknowledging the push to nix salary schedules will need to be studied in the coming months.